Some say location and lifestyle is everything! 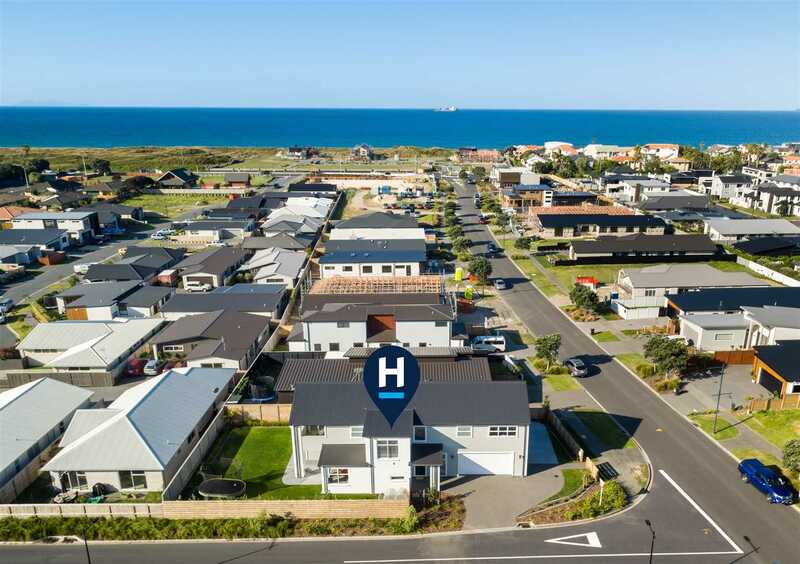 Stroll to the end of the street and the beach awaits as does the newly built Good Home Coast Gastropub, Q Café, upcoming Fresh Choice Supermarket and BestStart Child Care Centre. Step inside and it becomes immediately apparent that this is a fabulous family home which caters for every aspect of family living. Like new, beautifully presented and designed with a 271sqm (approx.) floor plan to offer plenty of spaces for the whole family to utilise. The fabulous foyer sets a precedent for the style beyond. With generous proportions throughout plus easy flow from the open plan kitchen and family room flowing to the outdoors makes entertaining a breeze. Just rally your family & friends and it's the perfect setting for the typical kiwi barbecue enjoying the long summer evenings. Hunker down in the separate media room for family movie nights. Big open spaces allow your fur babies to room free range and your kids will enjoy every moment here. Upstairs is the spacious master retreat complete with walk-in robe and stunning ensuite - it's a quiet relaxing haven. A further four double bedrooms and two bathrooms caters for the brood or visitors. A lifestyle such as this can't go without the necessary storage, garaging and off-street parking for vehicles and toys and they are surely catered for here. This magnificent masterpiece features quality fixtures and fittings throughout together with a striking street presence in a highly desirable lifestyle neighbourhood. You can't get any better - call Team Theo today for a private inspection! Chattels remaining: Fixed Floor Coverings, Blinds, Light Fittings, Drapes, Dishwasher, Waste Disposal, Wall Oven, Ceramic Hob, Rangehood, Heated Towel Rails x 3, Central Vac, Outside hot/cold shower, Clothesline, Auto Garage Door & 2 Remotes.